The SOAP 51st Annual Meeting is organized by Society for Obstetric Anesthesia and Perinatology (SOAP) and will be held from May 01 - 05, 2019 at JW Marriott Phoenix Desert Ridge Resort & Spa, Phoenix, Arizona, United States of America. Target Audience The Meeting is intended for anesthesiologists, obstetricians, neonatologists, obstetric medicine specialists, maternal-fetal medicine specialists, residents, fellows and medical students. The Society supports the attendance by associate members in the educational sessions of the annual meeting. The program is generated from member requests and an assessment of need by the Program Committee. Attendance at this meeting does not guarantee competency or proficiency in the performance of any procedures which may be discussed or taught during the course. ACCME Accreditation and Designation Statements: The American Society of Anesthesiologists designates this live activity for a maximum of 34.25 AMA PRA Category 1 Credit™*. Physicians should claim only the credit commensurate with the extent of their participation in the activity. Description: This meeting is dedicated to Improving Maternal Outcomes: High Impact Strategies for Change, bringing you the latest techniques, guidelines and research. The pre-meeting workshops offer great opportunities for skill building for any level of training. Hands on workshops feature a wide array of ultrasound applications, professional development in leadership, and team training! Dr. Carolyn Weiniger will deliver the annual, highly anticipated “Gerard W. Ostheimer – What’s New in Obstetric Anesthesia?” lecture and Dr. Jose Carvalho will be giving the always engaging Fred Hehre Lecture. Emerging research will be highlighted in our Gertie Marx Research Competition, Best Paper Session and oral poster presentations. New this year, we present several multi-disciplinary panels to discuss the coordination of care for some of the sickest patients. We will have a special guest appearance by Stephanie Arnold, bestselling author of the book “37 Seconds” about her personal experience with a near fatal amniotic fluid embolism. 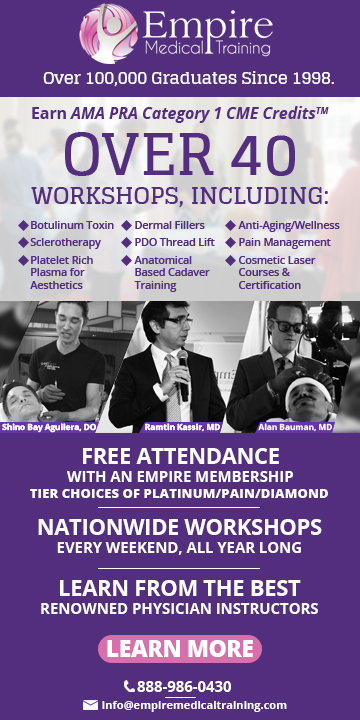 For those looking for brief, clinically focused, refresher lectures, join us Saturday, May 4th for the Clinical Track. These lectures feature 25-minute overviews of how to treat pregnant patients with Maternal Hemorrhage, Substance Use Disorders, Postdural Puncture Headache and Controversial Topics with Emerging Data. Trainees can take advantage of our “Find a Mentor” program where residents can pair with more senior SOAP members to learn more about our wonderful specialty. Educational Format: CME activities may include the following formats: plenary sessions, debates, lectures, poster discussions, oral abstracts, problem-based learning, and skill-set workshops. Objectives: At the completion of this conference the participants should be able to: • Assess the risk factors, racial disparities and preemptive care related to pregnant women with major co-morbid cardiac, neurologic, and hematologic disease to design optimal peridelivery anesthetic care • Utilize the latest evidence on patient outcomes and novel regional anesthesia techniques to optimize the perioperative pain management after cesarean delivery • Analyze case management strategies of high risk parturients to develop optimal labor analgesia care strategies • Model interdisciplinary team approaches to the care of complex pregnant and postpartum patients that can be utilized in a variety of care settings • Elevate readiness of one’s home institution to undertake the broadest reasonable range of maternal and perinatal care given available resources and personnel. 2019 American Association of Neurological Surgeons (AANS) Goodman Oral Board Preparation is organized by American Association of Neurological Surgeons (AANS) and will be held from May 01 - 03, 2019 at Renaissance Phoenix Glendale Hotel & Spa, Phoenix, Arizona, United States of America. 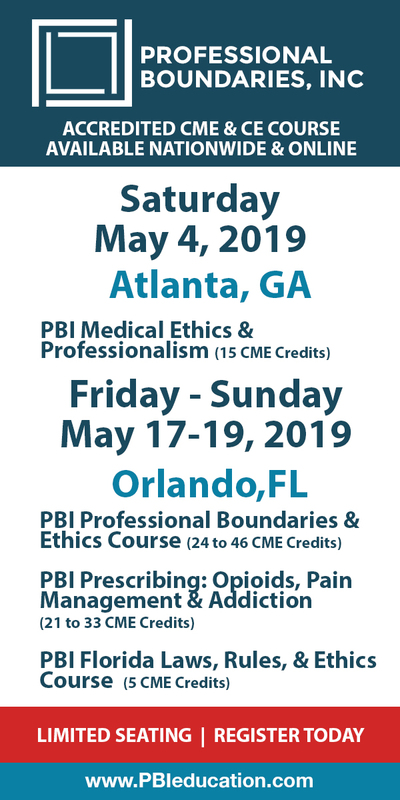 Who Should Attend : The program is specifically designed for neurosurgeons in private, academic or subspecialty practice that plan to take the Oral Board Exam. Note: The ABNS does not require this course before taking the ABNS Oral Board Exam. This Conference has been approved for a maximum of 25.5 AMA PRA Category 1 Credits™. Course Description : The 2019 American Association of Neurological Surgeons (AANS) Goodman Oral Board Preparation course reflects the changes in the American Board of Neurological Surgery (ABNS) Oral Board Exam. Practicing neurosurgeons who register for the full course will have the opportunity to attend at least four breakout sessions specific to their subspecialty to assist in preparation for the focused practice portion of the exam. Register for this one-of-a-kind course to enhance casemanagement skills, identify knowledge gaps and pass the ABNS Oral Board Exam. Course Objectives: Upon completion of this course, participants should be able to: • Discuss contemporary neurosurgery topics, including general, trauma, spine, vascular, tumor, pediatrics and peripheral nerve. • Comprehend the format of the ABNS Oral Board Exam. • Compare approaches to standard and complex neurosurgical problems with those of contemporaries. • Identify those areas of neurosurgery where further study would be beneficial in preparation for the ABNS Oral Board Exam. Additional details will be posted as soon as they are available. Awesome Review Certification and Recertification Course is organized by Awesome Review Inc and will be held from May 03 - 12, 2019 at Crowne Plaza Phoenix Airport, Phoenix, Arizona, United States of America. Target Audience: This activity has been designed to meet the educational needs of physicians, physician assistants, and nurse practitioners Accreditation: The Postgraduate Institute for Medicine designates this live activity for a maximum of 63 AMA PRA Category 1 Credit(s)™. Physicians should claim only the credit commensurate with the extent of their participation in the activity. Successful completion of this CME activity, which includes participation in the evaluation component, enables the participant to earn up to 63 MOC points in the American Board of Internal Medicine’s (ABIM) Maintenance of Certification (MOC) program. Participants will earn MOC points equivalent to the amount of CME credits claimed for the activity. It is the CME activity provider’s responsibility to submit participant completion information to ACCME for the purpose of granting ABIM MOC credit. Educational Objectives: After completing this activity, the participant should be better able to: • Recognize and apply the most current scientific, clinical, diagnostic and therapeutic advances • List and prescribe generic medicine to treat disease with increased national health care (i.e. Diabetes) • Describe pathophysiology and correlate with clinical presentation for IM disorders Prepare for ABIM Certification and Recertification exam. NOTE: This Conference will held on dates May 03 - 05, 2019 and May 10 - 12, 2019. Additional details will be posted as soon as they are available. 14th Annual International Institute for Trauma and Addiction Professionals (IITAP) Symposium is organized by International Institute for Trauma and Addiction Professionals (IITAP) and will be held from May 03 - 05, 2019 at Hyatt Regency Phoenix, Phoenix, Arizona, United States of America. This CME Conference has been approved for a maximum of 18 CE hours. Additional details will be posted as soon as they are available. Adult-Gerontolgy Nurse Practitioner Certification Exam Review & Advanced Practice Update - 2019 is organized by Fitzgerald Health Education Associates (FHEA) and will be held from May 03 - 04, 2019 at Sheraton Grand Phoenix, Phoenix, Arizona, United States of America. This CME Conference has been approved for a maximum of 32.10 Contact hours. Description: More than 110,000 NPs have prepared for certification and practice with the Fitzgerald Review—the best NP review & value on the market! COMPREHENSIVE—All formats include: • Preparation for both AANP and ANCC AGPCNP exams • More accredited contact hours than any other course • Expanded content meets the latest changes to the exam blueprints and domains • 150-question practice exam included with each course • Comprehensive 4-color printed reference/workbook with dozens of tables, included with all formats (Online, Live, MP3) • Extensive online resources • Final review of hundreds of course questions PLUS bonus questions • Hundreds of clinical high-resolution color images Additional details will be posted as soon as they are available. Family Nurse Practitioner Certification Exam Review and Advanced Practice Update is organized by Fitzgerald Health Education Associates (FHEA) and will be held from May 03 - 05, 2019 at Sheraton Grand Phoenix, Phoenix, Arizona, United States of America. This CME Conference has been approved for a maximum of 35.50 Contact hours. Description: More than 110,000 NPs have prepared for certification and practice with the Fitzgerald Review—the best NP review & value on the market! COMPREHENSIVE—All formats include: • Preparation for both AANP and ANCC AGPCNP exams • More accredited contact hours than any other course • Expanded content meets the latest changes to the exam blueprints and domains • 150-question practice exam included with each course • Comprehensive 4-color printed reference/workbook with dozens of tables, included with all formats (Online, Live, MP3) • Extensive online resources • Final review of hundreds of course questions PLUS bonus questions • Hundreds of clinical high-resolution color images Additional details will be posted as soon as they are available. 2019 45th Annual Barrow Neurological Institute Neuroscience Symposium is organized by Barrow Neurological Institute (BNI) and will be held from May 14 - 17, 2019 at Leonard Goldman Auditorium, Phoenix, Arizona, United States of America. Additional details will be posted as soon as they are available. Anesthesia MOCA Simulation Course - Simulation Based Education for Practicing Anesthesiologists is organized by Mayo Clinic and will be held on May 17, 2019 at Mayo Clinic Hospital - Multidisciplinary Simulation Center, Phoenix, Arizona, United States of America. Target Audience: This course is designed for Anesthesiologists. Accreditation: • 6.00 AMA PRA Category 1 Credit™ • 6.00 Attendance Course Description: Maintenance of Certification in Anesthesiology (MOCA) Simulation Based Education for Practicing Anesthesiologists: This is a one-day simulation experience providing credit towards fulfillment of Part IV - Practice Performance Assessment and Improvement (PPAI) - in the American Board of Anesthesiology (ABA) MOCA program. Learning Objectives: After completing simulations involving the following topics, participants should be able to develop a practice improvement plan that will be submitted to the ABA in accordance with their explicit instructions. • The ongoing management of significant hemodynamic instability in a patient receiving anesthesia for a surgical procedure. • Intra or post-operative management of a patient who develops significant hypoxemia from any cause including difficult airway management. • Principles and practices of effective teamwork in the peri-operative setting. • Knowledge and practice of the ASA difficult Airway Algorithm. • Management of patients with untoward and reactions to anesthetic care. Attendance at this Mayo Clinic course does not indicate nor guarantee competence or proficiency in the performance of any procedures which may be discussed or taught in this course. Additional details will be posted as soon as they are available.